A fine place with simple and sober appearing rooms and a shuttered terrace. 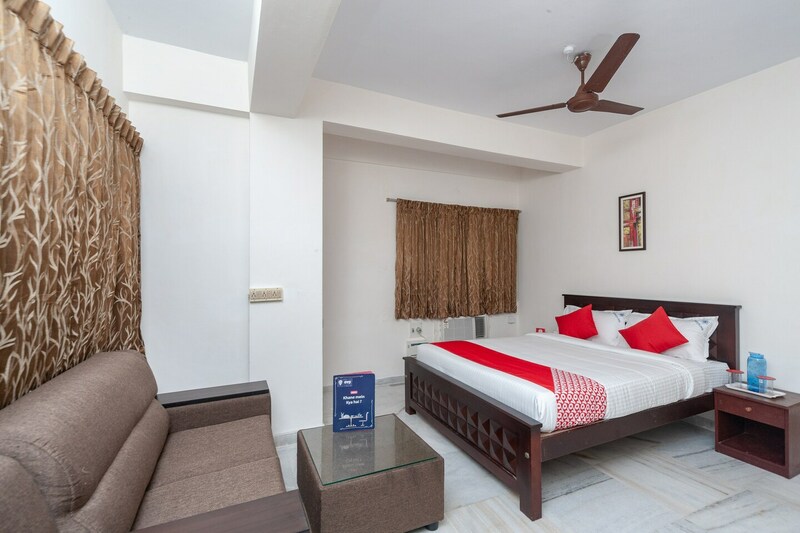 Amrita Inn has a beautiful architecture of white walls and grey pillars. The bedrooms at the hotel are simple with light colored walls and the splash of color is added through the furnishings in the room, lending them a warm and relaxing ambience. Apart from the basic furniture, the plush sofa and a low table make for seating space in the room. The hotel provides its guests with free Wi-Fi and power backup so that they may remain in contact with the rest of the world. Other amenities offered by the hotel are parking facility and a card payment option.